The following hotels are preferred lodging destinations for Drake Creek Golf Club. These preferred hotels share our goal of providing quality amenities and h2 customer service. Please stay at one of these properties and mention Drake Creek Golf Club. You’ll receive FREE rental clubs, FREE range balls, and Preferred Tee Times at our golf course! Conveniently located just off I24 in Paducah. Let us help take care of the details during your stay at the Drury Inn Paducah! Wake up to a fresh cup of coffee and great selection of breakfast items with free HOT QUICKSTART Breakfast! Conveniently located just off I24 in Paducah. Drury Suites lets you stay connected with one hour of free long distance and free high-speed Internet in all rooms. You also get a Free HOT QUICKSTART Breakfast, FREE Hot food COLD beverages each evening, and popcorn and soda all day long! Conveniently located off I24 in Paducah. This hotel is perfect for golfers seeking the ultimate in affordability. Thrifty rooms start at only $49 and they are very clean. Free continental breakfast includes juice, bagels, coffee and more. 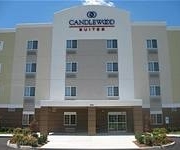 Located just off I24 in Paducah, this hotel provides ultimate value starting at $69. Free continental breakfast including waffles, yogurt, oatmeal, pastries, fresh fruit, coffee, juices and more! Free wireless high-speed Internet access in all rooms. Conveniently located just off I24 in Paducah. This hotel features an indoor pool and whirlpool. This is a perfect choice for Priority Club members wishing to golf in the Paducah area. 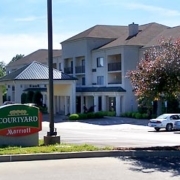 Conveniently located just off I24 in Paducah, Our staff will welcome you and go out of their way to make sure your visit to theCountry Inn & Suites, Paducah is most memorable. Conveniently located just off I24, Paducah’s NEWEST hotel offers both golf discounts and golf packages at Drake Creek. The friendly Drake Creek room rate of $85.00 includes breakfast, indoor pool, hot tub, fitness center, business center, and much more. 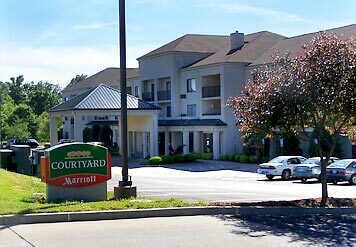 Just a short drive from Downtown Paducah and the Paducah Airport, the Courtyard Paducah West is the hotel designed by business travelers. You can start your morning in the Courtyard Café with our reasonably-priced fresh full breakfast buffet that includes specialty omelets cooked to order. Then take advantage of our swimming pool, whirlpool, exercise room or enjoy a walk around our park. Spend your leisure time at nearby Kentucky Oaks Mall, the Downtown Paducah Riverfront, or take advantage of our special golf offers with Drake Creek Golf Club. 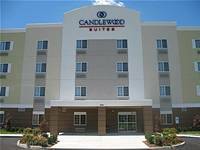 Conveniently located off of I-24 at exit 4, Candlewood Suites is Paducah’s Corporate Living hotel. Offering spacious One Bedroom and Studio Suites with Full Kitchens and Flat Panel TV’s with DVD players, you will feel right at home at the Candlewood Suites. Enjoy some of our wonderful amenities including FREE Guest Laundry, FitnessCenter Business Center, Priority Club Rewards, and the Signature Candlewood Cupboard. Golf Packages Available. If you’re looking for a bargain, here it is! Conveniently located just 15 minutes from Drake Creek Golf Club, this lake area hotel is home of Angler’s Restaurant and The Guide Shack Lounge. Join us for food, fun, and spirits. Golf Packages and Happy Hour available. Recently selected as Kentucky’s Best Day’s Inn property, Days Inn Kuttawa is located in the heart of the Lake Barkley Vacation Area. This hotel is perfect for golfers seeking a relaxing setting and affordability. Golf Packages available.